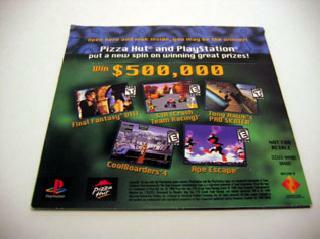 In Late 1999 Sony and Pizza Hut set-up a special Demo / Promotion Give-away where if you ordered a certain pizza and got a Demo CD. 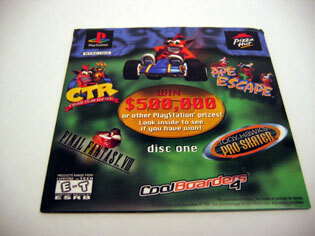 When you opened the slip case, the center of the disc proclaimed your winning status.� Either way, you still had some great games to play. 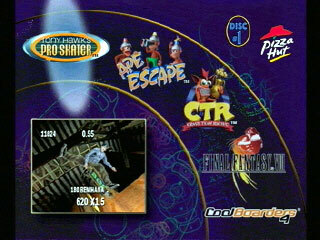 There are three total games released in the Pizza Hut promotion. Now you can add videos, screenshots, or other images (cover scans, disc scans, etc.) 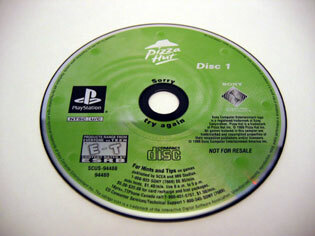 for Pizza Hut Disc One [U] [SCUS-94480] to Emuparadise. Do it now! If you haven't noticed yet, we have a retro game of the day feature (top-right of the screen) wherein we feature a new retro title every single day! Now, you can vote for your favorite games and allow them to have their moment of glory. Click on the button below to nominate Pizza Hut Disc One [U] [SCUS-94480] for Retro Game of the Day.